If you have ever taken a good look (actually not just one good look but several good looks) at ants, you'll find that there are many different types of ant. 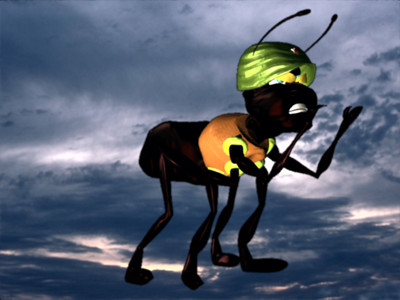 And in Koklokrom the ones that are the most interesting to watch are the ants that live in Mr. Afrik's house. The Ants are single-minded and hard-working. Their problem is that because they can't see very far, they sometimes fall in with the horrible schemes of the terrible KakaLika who takes advantage of the fact the ants are not united as one.